Welcome to the Hamlet Inn. 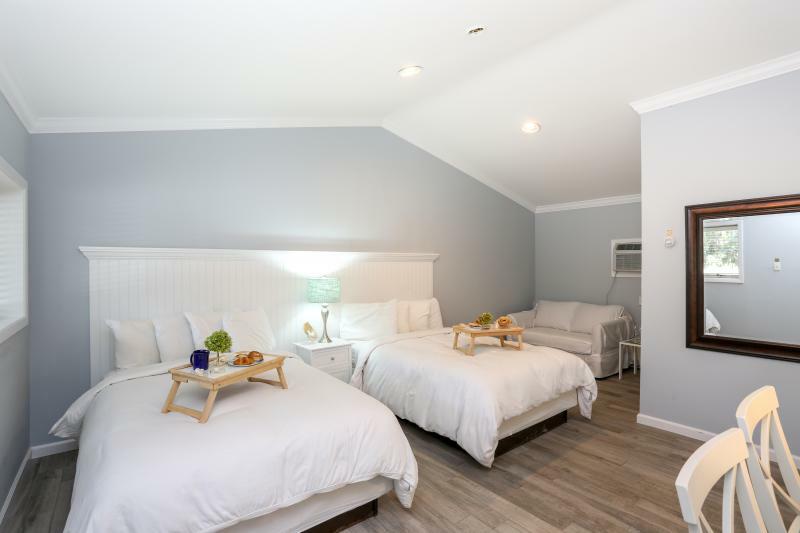 Located in Southampton, the Hamlet Inn offers charming country guest rooms equipped with either a king size bed with a pull-out sofa bed or two full beds. The Hamlet Inn is nestled on 3.5 acres of verdant lawns. Open year round. Non-smoking units. Just minutes away from beautiful Cooper’s Beach. Walking distance to the Bay. All room accommodations include refrigerators, individually-controlled heat & air condi­tioning, microwave, cable television, safes, and Wireless Internet. Call/ Text/ Email Us Today!